Matt McAllister's research interests include advertising criticism, popular culture and the political economy of the mass media. He is the author of "The Commercialization of American Culture: New Advertising, Control and Democracy" (1996, Sage), and the co-editor of "Comics and Ideology" (2001, Peter Lang), "The Advertising and Consumer Culture Reader" (2009, Routledge), and "The Routledge Companion to Advertising and Promotional Culture" (2013, Routledge). He has also published in such journals as Critical Studies in Media Communication, Journal of Broadcasting & Electronic Media and Journal of Communication. 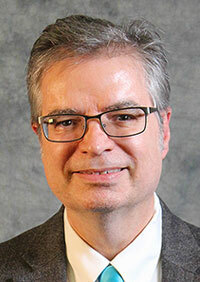 He teaches mass media and society, cultural aspects of the mass media and the spring semester of the Ph.D. proseminar. In 2010 he was selected as a Penn State Alumni Teaching Fellow, in 2011 he received the Mass Communication Division Teaching Award from the National Communication Association, and in 2014 the Penn State Graduate Faculty Teaching Award.